(February 5th 2015). I recently had the great honour and pleasure of working with traditional Tibetan musician, Sonam Tashi. His mission is to preserve the ancient music of Tibet. Traditional Tibetan music is in danger of disappearing due to the fact that it is transmitted through an oral tradition and also because of the cultural and political occupation of Tibet. We spent the night recording in my studio and the results were magical. We recorded one of his original compositions (shown in the video below) as well as a very old traditional composition (coming soon). This was our first time playing together, but I know it won’t be the last! I am proud to be working with Sonam. It is our shared hope that our musical collaboration will bring energy and awareness to the cause of celebrating and preserving Tibetan music and culture. The sitar and the traditional Tibetan lute (Dranyen), are often thought to be related. Some say that their common musical cousin was the Persian “Setar” (which literally means “three strings”). 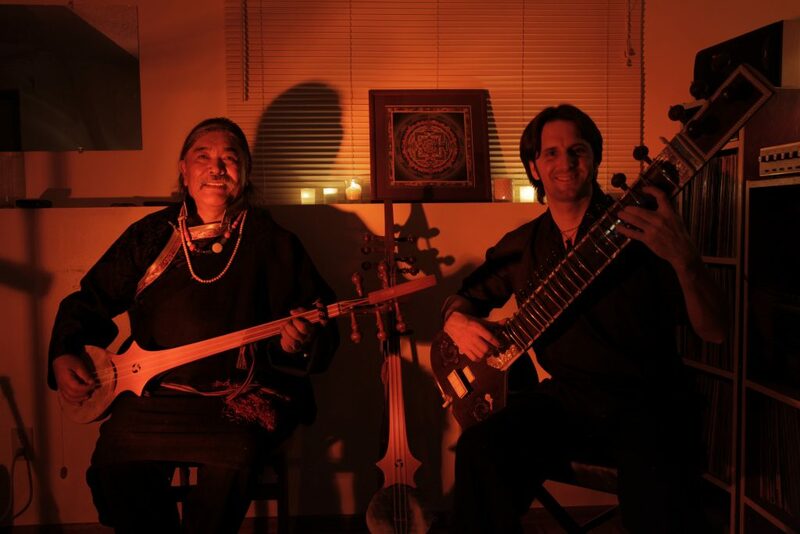 As our instruments worked so well together on our very first meeting, we both feel that there is a connection between the ancient music of India and the spiritual and folk music of Tibet. Sonam Tashi is an internationally acclaimed Tibetan performing artist, composer, and co-founder of Chaksampa Tibetan Dance and Opera Company based in San Francisco. He is also the co-founder of Nangma Boekyi Solgyun Rolyang Tsokpa, a traditional Tibetan music ensemble that toured North America in 2006. Born in the Ngari region of western Tibet near Mount Kailash to a nomad family, Sonam Tashi left Tibet at the age of four to take refuge in India. He studied traditional Tibetan opera, music and dance with classical masters at the Tibetan Institute of Performing Arts in Dharamsala, India, and took important roles in Tibetan operas and dramas. He came to the United States in 1982, a time when he was the only Tibetan performing artist in North America. Sonam Tashi studied acting at the Northwest Educational Acting Theater in Seattle, where he made his Western acting debut portraying a Japanese businessman for Telemation productions. In 1989, Sonam Tashi co-founded Chaksampa. Throughout Chaksampa’s 20 years of performing in the West, Sonam Tashi has been a leading pioneer in introducing the rich traditions of Tibetan lay performing arts to Western audiences. Of the Tibetan artists in the West, he is the most actively engaged in performing and promoting traditional Tibetan music and dance to the younger Tibetan generation. Recently he has embarked on a solo mission to present Tibetan traditional performing arts to the youth in Tibetan communities in the West and to the members of Western dharma centers. From the small stages of American high school auditoriums to Carnegie Hall, from the Seattle Tibet Fest to the Smithsonian Folklife Festival, from freedom concerts in local Tibetan communities to the Milarepa Tibetan Freedom Concerts in Golden Gate Park, San Francisco, and the RFK stadium in Washington, D.C., and from the American National Folk Festival in Bangor, Maine, to the Tibetan Music Festival in Bylekuppe, India, Sonam Tashi, in his black chupa and black hat, has inspired both Tibetan and Western audiences with his music of hope, love, and compassion. In the genre of traditional Tibetan music, Sonam Tashi has written the lyrics and music for many songs. 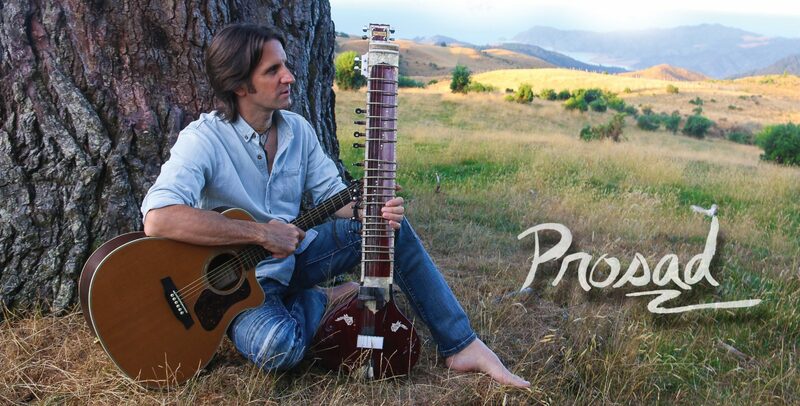 His most recent are available on his solo album, “My Dranyen,” and on his albums with Chaksampa, “Pha-yul.” “Renewal,” and “Rainbow Tibet,” and his first recording, “An Introduction to Tibetan Music.” His first composition, “Mount Kailash” (“Gangkar Tisi”), served as the theme for the soundtrack of Paul Wagner’s acclaimed film “Windhorse.” Sonam Tashi was an assistant director for the film “Seven Years in Tibet.” He has lectured and conducted workshops on Tibetan theatre at the University of California at Berkeley, the University of Washington, the University of Wisconsin, Indiana University-Purdue University at Fort Wayne, and the University of Northern Arizona. He has taught master classes in Tibetan music and dance to students at the University of Northern Arizona, and held several mask-making workshops for children. He has also given television, radio, and newspaper interviews on the subject of the Tibetan performing arts. In 2007, Sonam Tashi co-founded Nangma Boekyi Solgyun Rolyang Tsokpa (Tibetan Nangma Band), based in Dharamsala, and toured seven US cities.